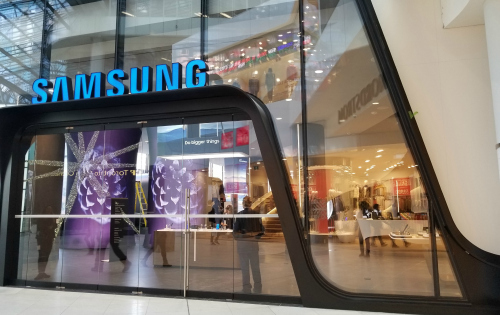 TORONTO – The Samsung Experience gave the highest ranked customer experience to those walking through its doors in 2018, according to the annual WOW study conducted by research and polling firm Leger. The study measures performance in 16 dimensions of the in-store customer experience, considering their relative significance in areas such as product quality, price competitiveness, employee courtesy and store atmosphere, among other factors. This year’s online survey covered more than 160 retailers across Ontario and received responses from more than 15,000 consumers living in Canada’s largest retail market. It was conducted between mid-September and mid-October. At least 400 recent customers from each retailer – who were divided into some 18 categories – in the study were interviewed. The index is a number between 0 and 100. At 95.1, the retailer with the highest score overall was M&M Meat Shops. Samsung scored 82.3 in the Furniture, Kitchen, Decoration and Electronics category just ahead of the 82.0 scored by the Microsoft Store. Ranked in the fifth position with an index of 72.7 was Sleep Country Canada, which was a tie with Crate & Barrel. Next on the list in seventh place with an index score of 71.1 was IKEA Canada. Right behind IKEA was Bowring, whose index of 71.0 wasn’t enough to stave off the bankruptcy proceedings its parent company initiated a few weeks ago. Rounding out the home goods list was Stokes, the kitchen, table and giftware specialist; Staples; and, two home furnishings specialists that sell a fair amount of occasional and accent furniture: Bed, Bath & Beyond and HomeSense. For the first time, Leger added a digital component to the study, asking consumers to rank retailers according to their online experience. Some 10,000 Canadians were asked about their experiences on some 116 transitional sites. 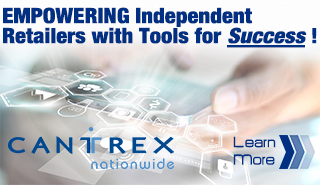 To introduce its results, the company said 83% of respondents had made at least one purchase via a retailer’s web page or mobile app over the past year. In something of a surprise, Wayfair was ranked at 50 out of 116 with an index of 76.2 – it was the only ‘pure play’ e-commerce furniture and furnishings retailer included in the survey. Other furniture and mattress powerhouses on the list included Costco Canada at number 17 with an index of 82.8; Hudson’s Bay at 25 and 80.4; IKEA Canada at 39 with an index of 78.6; and, The Brick, whose index of 65.7 placed them at 101. For more information, check out Leger’s web site at leger360.com.